This article is being published by SreesTours, a leading online travel agent located in Kumarakom, Kerala. Kerala is a beautiful Indian state in South India and known as a God’s own country. It is one of the most visited and awesome place to travel in India. 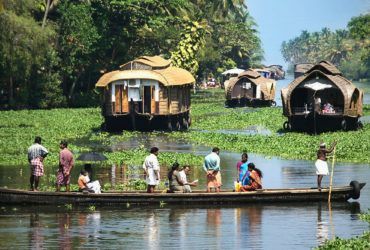 Kerala have some of most popular tourist destinations such as hill stations, backwaters, houseboats, wild-life sanctuaries, waterfalls, stunning beaches and many more. Kerala is paradise place for nature lovers and also enjoyable place to make holidays trip with friends & family. Kerala can be accessed by train or flight from Durg . The nearest airport is Raipur which is 55 kms away from Durg. There is no direct flight from Raipur Airport to Kochi (Cochi) Airport. All the flights are via Mumbai /Delh/Kolkotha / Bangalore. It takes approx 12 – 18 hrs to reach Kochi by flight. Details of web sites offer cheapest prices. #1: Make My Trip: You can book your domestic flight tickets at lowest fare with Makemytrip.com, They also offer best deals on hotels booking from their official website. #2: Goibibo.com: Goibibo is a fastest growing online travel portal in Asia. They offer hotels & flight booking services at high discounted price. Book your domestic flight from their official website and get RS. 800 off on your booking. They also provide various promocode to get best deals on flight booking. It takes almost 35 – 36 hrs to reach by train to Kerala. The station to board is Durg (DURG) and the station to reach is Ernakulam (ERS) in Kerala. Departure boarding station is depending upon the destination covered and tour packages selected. For example in case destination covered only Munnar, Thekkedy, Kumarakom and Alleppey, arrival and departure should be Ernakulam (ERS). In case the guest want to visit Verkala Beach, Trivandrum, Kovalam Beach with Kanyakumari visit, arrival should be at Ernakulam rly station and departure should be from Trivandrum (TVC) Rly station. There is one more rly station called Kochuveli (KCVL) which is located 5 kms from Trivandrum city. Here is the train schedule from Durg (DURG) to Ernakulum Rly Station (ERN/ERS). Here is a train schedule from Ernakulam to Durg (DURG). Here is a train schedule from Trivandrum (TVC) to Durg (DURG). 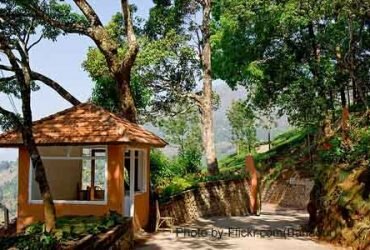 #1: Kodaikanal: Kodaikanal can be reached from Munnar. It takes almost 7 hrs drive from Munnar to Kodaikanal. Minimum 2 days required to cover Kodaikanal. After Kodaikanal, the guest can travel to Thekkedy (Periyar) which is 6 hrs drive from Kodaikanal. #2: Rameswaram: In case Rameswaram needs to be covered, one need to extend two more days and can travel from Trivandrum or Kanyakumari. The nearest rly station is Rameswaram or Madurai from where one can get train to Durg via Chennai. Booking of the tour package with SreesTours is very simple. Once the hotel are selected, we need 25% advance. You can send this payment by credit card, payment gateway, online transfer etc. A receipt and hotel confirmation voucher will be issued very next day. One day prior arrival, we will call and give message regarding the drivers. Balance payment is collected on the 5th day of the trip. These procedures are very simple and since balance payment is being collected almost at the end of the trip, the package is fully secured. Arrival and Departure : Ernakulam Rly Station. Departure early morning at 00:35 Hrs. Durg to Ernakulum by Train No 22647. Overnight in Train. Arrival Ernakulam at 12:25 Hrs. Meet, receive and transfer to Munnar. Enroute visit Valera water falls, Karadippara View Point & Kallar Falls. Check in resort. 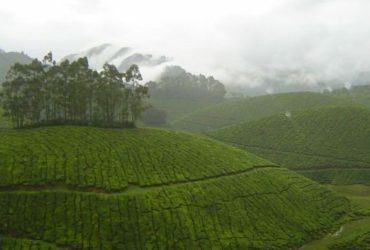 Half day sightseeing of Munnar. Rajamalai and Eravikulam national park. Day 4 (Sunday): Munnar – Thekkedy. 120 kms 4 Hrs. Elephant safari – approx Rs 600 per person. (Morning 6 A.M. to Evening 6 P.M). Jeep Safari to GAVI Wild Life – 6 A.M. to 6 P.M. @ Rs 1500 per person. Day 5 (Monday) : Thekkedy- Houseboat. Visit Fort Kochi, Chinese fishing nets, Jewish synagogue, mattancherry palace(dutch palace), Marine drive etc and over night stay at hotel. Jewish synagogue will be closed on Friday and Saturday. 2 Hrs sun set cruise at Kochi in Sagara Rani Mini ship. Transfer to Ernakulam rly station. Departure by Train No 22816 at 08:30 Hrs.